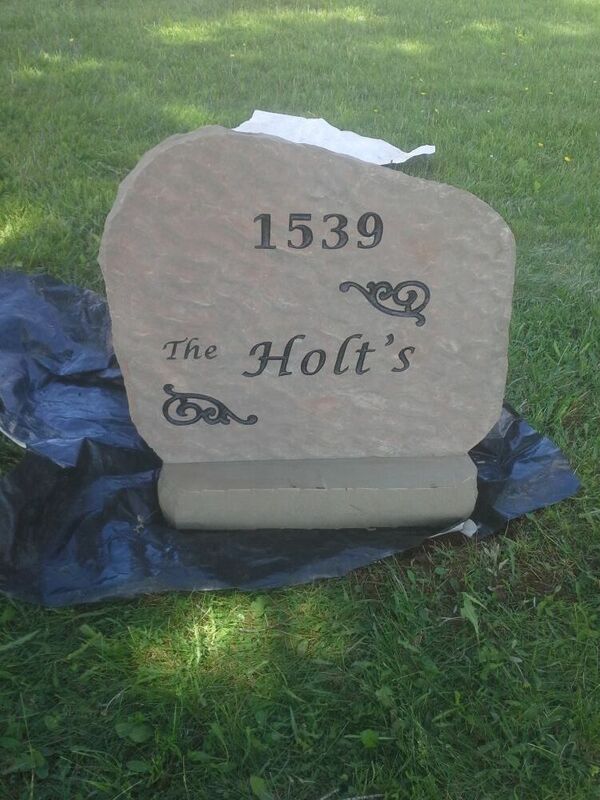 Entrance stones are a great way to giving your home or property a unique identity. Choose your surname or property name, numbers or any kind of artwork. Sizes vary from a small stone for a flower bed to a sign big enough to require signposts.